She was the daughter of George W. Jeffts and Minerva Neal. Sarah Neal Jefts was a teacher of elocution and physical culture in Pembroke Academy and in Concord, and since moving to Hampton, held a position in the academy and high school there along with private classes there and in neighboring towns, and special courses in other institutions. 1900 United States. Census Office. 12th census, 1900 population census schedules, Washington, District of Columbia: Bureau of the Census Micro-Film Laboratory, ([197-]) , Census Place: Hampton, Rockingham, New Hampshire; Roll: 950; Page: 11B; Enumeration District: 0195; FHL microfilm: 1240950. 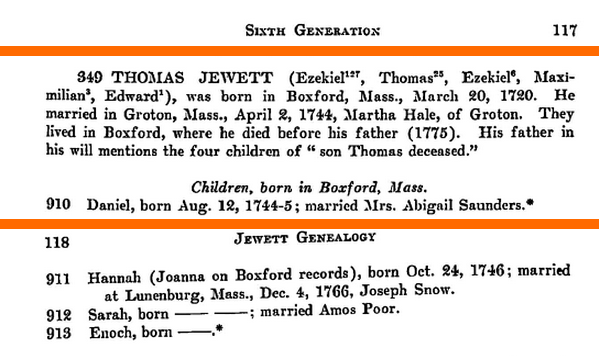 Frederic Clarke Jewett, History and genealogy of the Jewetts of America, , at https://books.google.com/books?id=wr8GAwAAQBAJ . New York: The Grafton Press, (1908) , p. 117. Vital records of Boxford, Massachusetts, to the end of the year 1849, Topsfield, Massachusetts: Topsfield Historical Society, (1905) , p. 51. 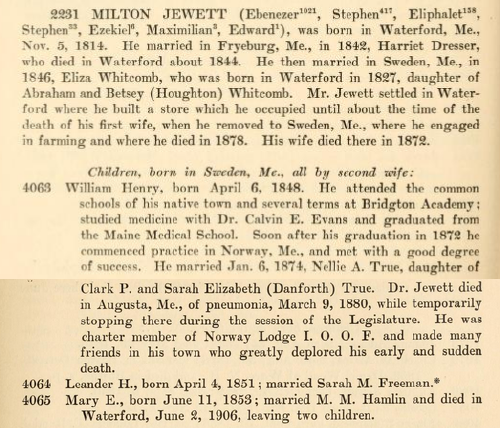 Frederic Clarke Jewett, History and genealogy of the Jewetts of America, , at https://books.google.com/books?id=wr8GAwAAQBAJ . New York: The Grafton Press, (1908) , p. 118. Charles S. Spaulding, An Account of Some of the Early Settlers of West Dunstable, Monson and Hollis, N. H., , at https://books.google.com/books?id=EnQ59eTcNREC . Nashua, N. H.: The Telegraph Press, (1915) , p. 163. 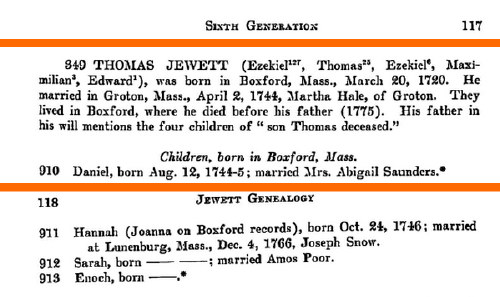 Frederic Clarke Jewett, History and genealogy of the Jewetts of America, , at https://books.google.com/books?id=wr8GAwAAQBAJ . New York: The Grafton Press, (1908) , p. 237, 392. 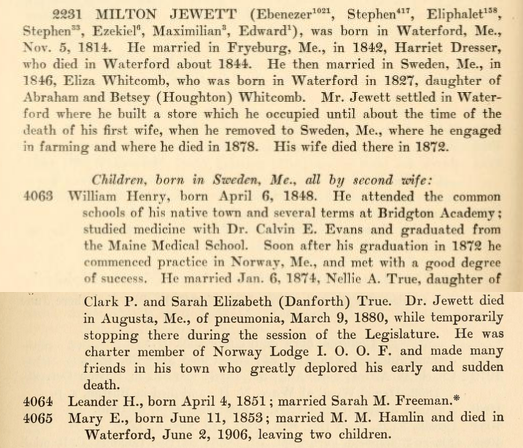 Frederic Clarke Jewett, History and genealogy of the Jewetts of America, , at https://books.google.com/books?id=wr8GAwAAQBAJ . New York: The Grafton Press, (1908) , p. 392-3. 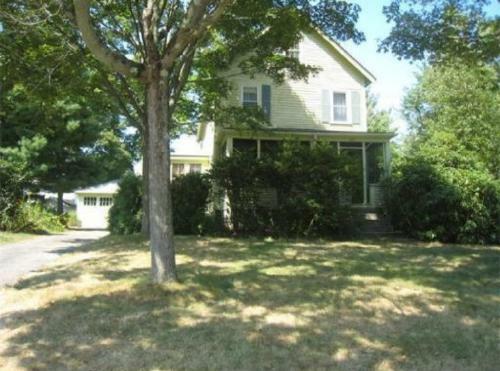 Pane-Joyce Genealogy, at http://aleph0.clarku.edu/~djoyce/gen/report/, citing "Wallingford Vital Records." Pane-Joyce Genealogy at http://aleph0.clarku.edu/~djoyce/gen/report/, citing Donald L. Jacobus, Families of Ancient New Haven, 1922-1932, 3 volumes. Jemima Johnson was born perhaps about 1764.